How To Add "hreflang" HTML Tag To Blogger For SEO? Home > SEO > How To Add "hreflang" HTML Tag To Blogger For SEO? 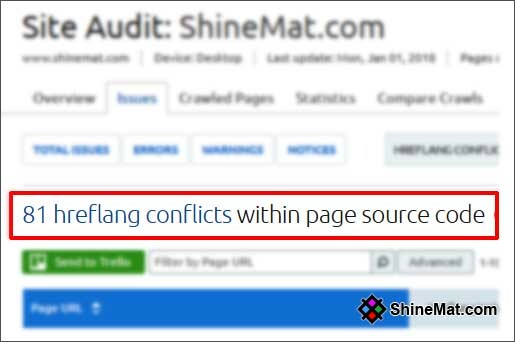 Hello there, yesterday I found 81 hreflang conflicts within my blogger page source code in my SEMrush account. I was wonder why this errors occurred with my blog where I already have “hreflang” tag in my template. I search for its solution in online and trust me after surfing 30+ minutes I found its simple solution and today I come to you with this issue. SEE ALSO: Where Should Point Backlinks : Homepage Or Post URL? What is hreflang and regional URLs tag? The hreflang and regional URL HTML tag help search engines like Google to serve the webpages to its targeted country or in a certain region in the search engine results. To get targeted visitors you must add the hreflang tag in your source code. That’s why Google mark it as one of important part of SEO. ALSO READ: What Is Bounce Rate And How To Decrease It Easily? See this video published by Google Webmaster Tools team about hreflang. How To Setup hreflang and regional URLs tag To Webpages? There are some multiple ways and adding process available to add hreflang tag for language and regional URLs. In this post we will discuss about how to add hreflang tag in blogger blog. If you have website or blog that are not in blogger platform then visit Search Console Help page to get more details about how to add hreflang tag to any website, subdomain and custom pages. Hope this helps. How To Add hreflang Language Tag In Blogger? That was my earlier installed hreflang tag and I actually still don’t know why this tag are not working in my blogger template. Anyway, when I found its solution codes I stopped searching why previous codes are not working. If you also got error message from SEMrush or any other SEO tools you can simply get rid from this simple error. Just add the below code in your blogger template just below at <head> tag. Here, "data:blog.url" represents the blog homepage URL and hreflang "x-default" annotation allows auto redirection of homepages and sub-pages according to primary language and country. You can also use hreflang value "en" instead of "x-default" if your blog's primary language is English. If you don’t have any paid SEO tools account like SEMrush you can also check your hreflang attribute for free using hreflang testing tool below. Hope you understand and successfully added your hreflang tag to your blogger blog or website. 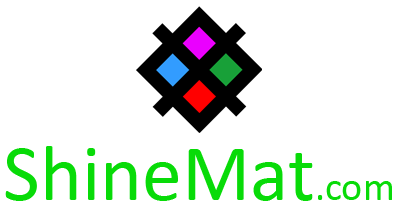 If your need any help about SEO please knock me anytime or grab a service offered by ShineMat. Stay well and be happy always. Remember me in your prayers. Allah Hafez.